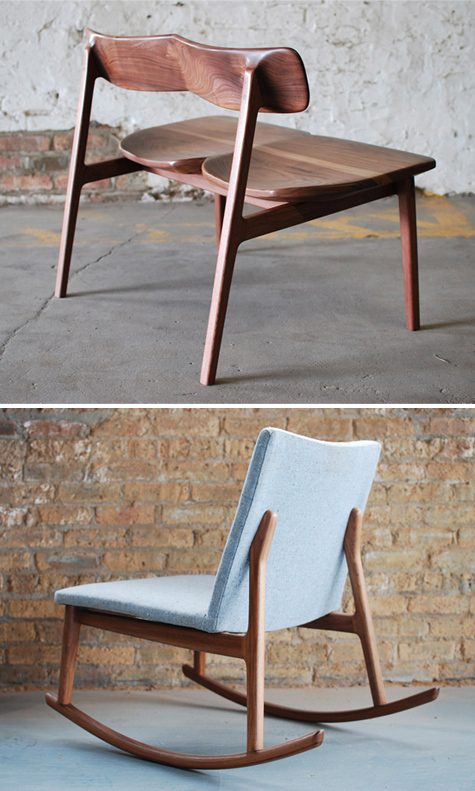 Two lovely, hand built black walnut chairs by Jason Lewis Furniture. The gesture of the "joined" bench above knocks my socks off. I'm not sure why they aren't facing the camera - perhaps they're in time out?